It's getting to that time of year, so you'll already know that best/worst lists are incoming, but let's kick things off with a look back at the year in movies, in music. 2013 had some great original soundtracks, some inspired uses of familiar songs, and even some cracking trailer music, and I've collected my favourite bits and bobs in a Spotify playlist, which you can find after the jump, along with my analysis and explanation of my choices. They're largely in chronological order by UK release date, (hence a number of tracks from 2012 movies at the top of the list) but had to open and close on songs that played particularly well at the beginning and end of films, respectively. 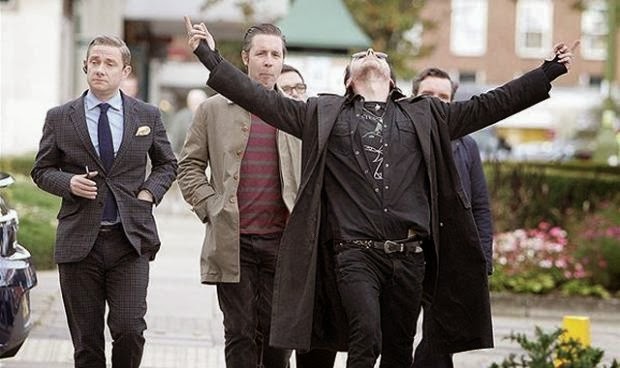 Primal Scream's Loaded, with its soundbyte of Peter Fonda from The Wild Angels, served as both overture and thematic centre for The World's End, which also has the best, most 90s-tastic soundtrack of the year. Edgar Wright is so good at picking music for his movies, I can't wait for the musical that he seems destined to make. 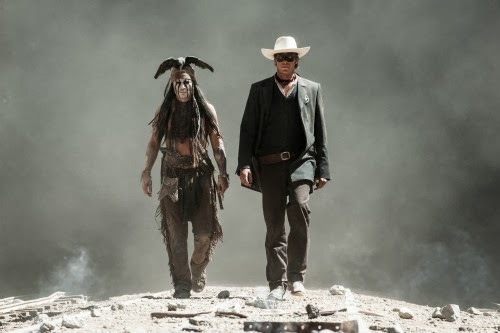 At the close, Hans Zimmer's re-tooling of the William Tell overture from Disney's The Lone Ranger, which some have affectionately dubbed "William Tell Overdrive". I haven't yet reviewed the film, (look back in the next couple of days) but it accompanies the best action sequence in the film- a jaw-dropping train chase that kicks the film back to life after wading through the inertia of a Pirates sequel for much of its running time. I promise you, your life doesn't get much more exciting than if you listen to Zimmer's rendition of the famous theme while working. In between then, there's a bunch of tracks from the beginning of the year- the inevitable Les Misérables number, a personal favourite from Django Unchained, (I think Wright is now as good at picking his soundtracks as Tarantino used to be) and highlights from the scores to Wreck-It Ralph and Cloud Atlas. Highlights from 2013 proper include the haunting theme from The Place Beyond The Pines, Brian Tyler's long-overdue "Tony Stark is awesome" theme from Iron Man 3, Michael Giacchino's reprise of his theme from Star Trek, for the otherwise inferior Into Darkness, and another Zimmer highlight from his Man Of Steel score. The album titles should tell you where most of the other tracks come from, though Everyone's A Winner featured memorably in both Frances Ha and Anchorman 2: The Legend Continues. I also had to include Lou Reed's Perfect Day, after the trailer for You're Next stuck it in my head for pretty much all of August, and give a shout out to The Kings of Summer's inspired use of MGMT. And naturally, we've all been miming Roachford since Alan Partridge: Alpha Papa came out, right? The only others that might need annotation are Frank Sinatra's Blue Moon, which was a haunting motif for Cate Blanchett's character in Blue Jasmine, and Billy Ocean's Love Really Hurts Without You, which served as a memorable accompaniment to Filth's end credits. The year's musicals are well represented by Sunshine On Leith and Frozen, and on the topic of Disney, the end of the list shows how the House of Mouse has had a few good soundtracks over the last 12 months, between Frozen, Saving Mr. Banks and the aforementioned Lone Ranger. Anyway, I'm Mark the mad prophet, and until next time, don't listen to anything I wouldn't.